Season 11 sees the Bartlett-Flemings experience life-changing events, testing their bonds as a family, while leading them down a road to exciting adventures and unexpected challenges. Amy and Ty find it a challenge to balance their professional schedules with the realities of raising a new born, especially as Ty's work pulls him away from home from time to time. At the same time, Tim struggles to come to terms with shocking news that completely throws his life off balance, and as her business enterprise continues to grow, Lou must find a way to stay in the loop to keep herself from becoming a stranger to her own family. Amazing value. Set in the rolling foothills of the Rockies, the tenth series continues to follow life on the ranch. Amy and Ty are growing as a couple and moving into the unknown as they excitedly prepare for parenthood. Georgie navigates teenage life, putting her heart on the line as she wrestles with the highs and lows of friendships, rivalries and first loves. Tim seeks to expand his rodeo school world. 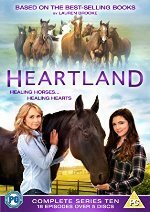 As a couple Jack and Lisa find themselves having to defend their unconventional arrangement but through it all they there to step in to support the growing Heartland family. 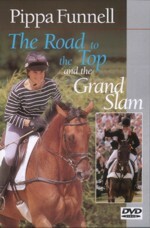 This is a tribute to the greatest dressage horse the world has ever seen, presented by Horse & Country TV's Jenny Rudall. 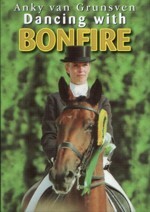 The programme includes behind the scenes footage at Carl Hester's yard, at major competitions, interviews with all those closest to the horse, action footage from the British Championships and finally extensive coverage of Valegro's farewell at Olympia's Christmas Horse Show in December 2016. This is a fitting tribute to a horse that has taken the sport of dressage to a new and more popular level. No better tribute could be paid to Valegro than by his competition rider Charlotte Dujardin when she said 'He is in every way the perfect horse'. Set in the rolling foothills of the Rockies, the ninth series continues to follow life on the ranch. Amy and Ty settle into married life while Lou faces the reality of single parenthood. Georgie aspires to new heights as Roman riding becomes her focus, while Jack deals with the loss of a trusted friend. New love interests, new career paths and even new technology threaten the status quo at Heartland but by the end of the season everyone finds solid ground and embraces their evolving roles. Set in the rolling foothills of the Rockies, the eighth series continues to follow life on the ranch. Amy returns from the European Equestrian circuit, still riding high on the opulent lifestyle and adrenaline of working with Prince Ahmed's high performance horses. Her time away has changed her and everyone else back home. As the family struggles through secrets, rivalries and misunderstandings, Amy and Ty must find solid ground in their relationship. The town of Hudson in the foothills of the Rocky Mountains is home to Heartland, a family ranch dedicated to rescuing and rehabilitating troubled horses. After a tragedy puts the ranch in jeopardy, fifteen year old Amy (Amber Mashall) must use her talents as a horse healer to save the family business. Her sister Lou (Michelle Morgan) reluctantly leaves city life behind to help Amy and their grandfather Jack (Shaun Johnston) run the ranch. 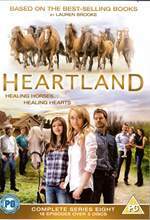 With tough times ahead the family now must pull together to keep the dream of Heartland Alive. The town of Hudson in the foothills of the Rocky Mountains is home to Heartland, a family ranch dedicated to rescuing and rehabilitating troubled horses. After a tragedy puts the ranch in jeopardy, fifteen year old Amy (Amber Mashall) must use her talents as a horse healer to save the family business. Her sister Lou reluctantly leaves city life behind to help Amy and their grandfather Jack run the ranch. Season Two follows Amy and Lou's life on the ranch as Amy faces her feellings for Ty, the young ranch hand who has been living on Heartland as part of his probabation, while Lou adjusts to her new life in the country. Their father Tim makes a concerted effort to establish himself as a legitimate rancher while re-connecting with the daughters he left behind. Having realised their feelings for each other, Season Three unfolds with Amy and Ty now a couple while Lou builds on her own blossoming romance, bringing interesting developments to their relationship. Ty is interested in helping animals and has local vet Scott as his mentor whilst Tim, Amy and Lou's father, is becoming more of a presence in his daughters' lives and he and Jack are beginning to get along, that is as well as can be expected. In season four, people drift back to Heartland, craving the familiarity of home and family only to discover that everything seems to have changed. After the blush of first love in Season Three, Ty and Amy's relationship may blossom and mature, but only if they face up to a misunderstanding about what happened while they were apart. Lou is torn between her new life in Dubai and home. She's still madly in love with Peter but Dubai is not an easy place to live and she's intensely homesick. Tim will return with substantial winnings and a new love interest. As always, Jack remains the rock of Heartland tirelessly keeping the family together through thick and thin. In Season Five Amy reaches a new level of horsemanship that sets her down a freeing path. It's all about going back to her roots and getting in touch with her special connection to horses in a deeper more confident way. Ty realises that in order to move forward with his life and his relationship with Amy, he has to make some tough decisions. Lou grapples with the realities of motherhood and the possibility of going back into the workforce when moeny becomes tight. Tim seeks out his long lost son to establish a relationship and must figure out a way to tell his daughters they have a brother. Jack will remain the rock of Heartland, helping his family deal with the ups and downs they experience in their lives. In Season Six, Amy and Ty continue as a couple but the weight of the 'almost proposal' takes its toll with touching and humorous results ... until a moment that will enthral and delight fans of the series. Lou and Peter's new home turns into a renovation nightmare which results in a tragic and near fatal situation. Jack's European vacation did not work out as well as he leads Lisa to believe, and a newcomer, 11 year old runaway Georgie, becomes a new fixture at the Heartland Ranch. Of course Heartland continues to be unlike any other ranch - a horse ranch with a special mission of treating troubled or neglected horses. Set in the rolling foothills of the Rockies, the seventh series continues to follow life on the ranch. It first appears Tim is now in charge of the Ranch and is making some decisions that are most contrary to what Jack would want, including introducing sheep to the ranch. Amy and Ty are happily engaged however with Ty going to veterinary school, it is not yet time for their weddking to take place. Amy gets back in the groove of working with horses again, landing a very important client and George has settled in and now feels a true part of the family. 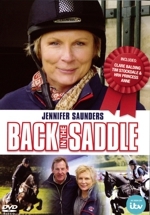 Jennifer Saunders sets out to re-engage the nation with equine sports as she returns to the saddle after a 40-year break from the world of competitive riding and showjumping. In 'Back in the Saddle' an interview with Clare Balding inspires Jennifer to agree to ride in a grassroots competition at Badminton. As the reality of what she has let herself in for dawns, she delves into all things equine, acquaints herself with her new ride Jack and takes all important advice from the experts - including Princess Anne. As shown on ITV. Approx. 120 mins. Horse & Country present this unique six part journey into the mind and memories of arguably the single most influential figure in equestrianism in the last 100 years - the real life horse whisperer. 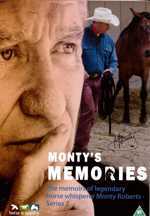 Monty recalls some of his strongest memories and teaches us his methods, he also introduces us to some old friends. And, when you have friends that include Her Majesty the Queen you have no fear of enemies. Approx 140 mins duration. Horses and people came from all over the world to Windsor castle for The Diamond Jubilee Pageant in May this year. 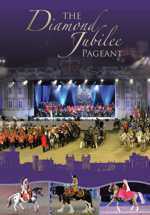 558 horses and 1,241 performers joined with royalty, celebrities and music to celebrate the Queens diamond jubilee and honour her Majestys tireless international service across the globe. Horse & Country TV's acclaimed series takes you behind the scenes to meet eight potential Olympic and Paralympic equestrians. Each episode explores the hopes and dreams of a contender for Team GB as they strive to achieve the once in a lifetime dream of competing in the Olympics on home turf. Award winning film maker Michael Slowes film is a beautiful and informative documentary about Sage Thompson, Huntsman of the Chiddingfold, Leconfield and Cowdray Hunt and how the ban on foxhunting with dogs has affected his life and work. Sage is a well-known, charismatic, Sussex Huntsman who has developed a unique relationship with his hounds through dedication and patience. The film follows the pace as they feed, breed, are judged at shows and follow a scent in trail hunts. 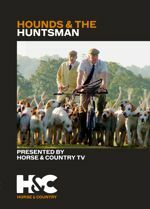 A truly insightful film that shows one mans love for his hounds and the countryside career he has forged. As seen on H&CTV. Approx. 48mins duration. 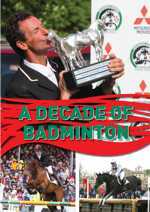 This fascinating documentary tells the story of one of the greatest names in show jumping, Eddie Macken. Born in the Irish countryside, Eddies fascination with horses would lead him around the world as a championship rider with an exceptional legacy of wins. From his early days and record-setting career, to his role as team trainer and his return to competition at the age of sixty, this film tells the extraordinary story of Irelands most famous rider, a man who fully deserves to be called a True Legend. As seen on H&CTV. Approx. 49 mins. Duration. Finally in the main jumping section William rides Billy Grand and Pippa Billy Angelo as they vie for victory in their head to head contest. A wonderful 2 hours of fascinating viewing full of valuable content mixed with a lot of fun. Approx 120 mins. 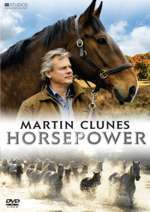 Much loved comic actor Martin Clunes explores his personal fascination with horses in an appealing, light-hearted study of the noble beast. Martin travels around the world to trace the origins and evolution of the horse and to explore mans relationship and reliance upon them, taking every opportunity to jump into the saddle himself. Approx. 2 x 1 hour duration. 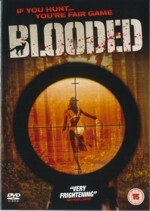 The British film entitled "Blooded" which went on limited cinema release recently, is also available on DVD. This contraversial film is an intelligent and well reasoned look at extremism, set against the beautiful back drop of the Isle of Mull and is sparking debate in the hunting world and with animal rights extremists. The premise of the film is that a group of friends, one of whom is a fictional Hunt Master and poster boy for the pro-hunt lobby, go stalking on Mull. The friends' trip becomes a nightmare when they become the victims of animal rights extremists who turn them into the quarry. 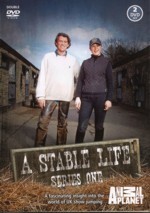 As seen on TV, "A Stable Life" is a fascinating insight into the world of UK show jumping and dressage through the eyes of the young stable owners at Caldcote Farm Stables. From riding lessons to stallion training and top level competition, this series takes is an un-missable look behind the scenes of the equestrian world. Series one shows episodes 1-6. Double DVD. approx 140 mins. 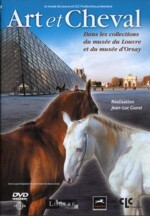 The aim of this film is to celebrate the horse in art as seen in the works in the Louvre in Paris. This film will leave you under the spell of the Louvre collection and it's horses. Approx.50 mins. This best selling programme is now available on DVD. It is filmed at Anky's home and with the help of her trainer and partner, Sjef she recalls how she turned an unbroken two year old with a penchant for bucking into an outstanding champion. A story of how both horse and rider conquered all and became champions of the kur. Approx 70 mins duration. 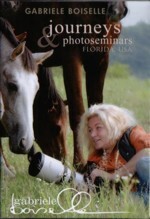 World reknown equine photographer, Gabrielle Boiselle, invites horse lovers of all persuasions to join her during her Florida travels, offering photography tips as she journeys to photograph some of the world's most spectacular hoses. Approx 90 mins. 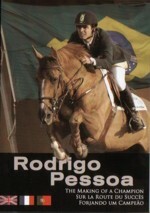 Rodrigo Pessoa - The Making of a Champion. 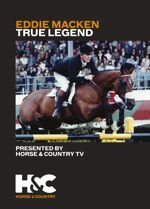 This DVD tells the story of the World's Number 1 Show Jumper from early day footage of him on his pony, to many of his unique success' in International competition. Approx.47 mins. 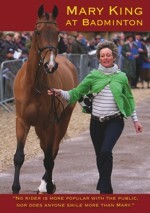 Pippa & William Funnell took to the road in early 2004 with some of their best horses and the Funnell Factor played to full houses at 4 different venues. Approx.1 hour 52 mins. 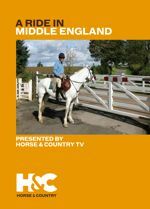 Exclusively for DVD Equestrian Vision has combined it's most successful entertainment videos, plus adding a detailed menu to guide the viewer through the different sections. Approx. 70 mins. This is the third DVD in the 'Thrills & Spills' series and arrives in time for the Christmas market - definitely a bestseller! In the first part of the programme relive many of the outstanding performances during the first decade of the century by horses such as Totilas, Headley Britannia, Shutterfly, Best Mate and Sea The Stars. Then sit back for the armchair ride in the hunting field as you get the 'snaffles' view through the horse's ears as you fly across country following a pack of hounds; it's a breathtaking experience! The final section of the DVD is the spills section when jockeys and amateur riders alike do their level best to defy gravity. 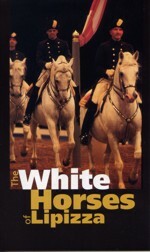 White Horses of Lipizza. DVD. The beautiful Lipizzaners are known and loved throughout the world. 'The White Horses of Lipizza' follows their turbulent history and explores their rich heritage. DVD. Approx. 50 mins.